Olga Kaliada graduated with honours from the Law Clerk Program at Seneca College in 2005. She has been working with Gary Mazin since 2006 as an integral part of his car accident and accident benefits teams. 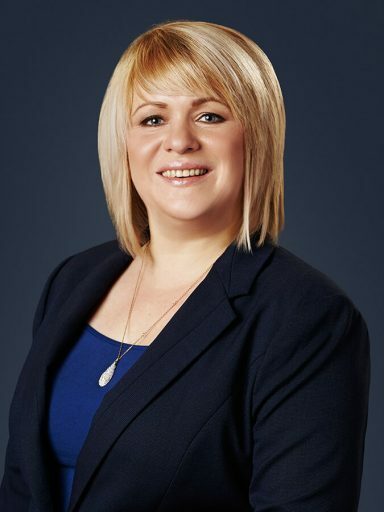 As an Accident Benefits Specialist for Personal Injury Lawyers, Olga has a comprehensive understanding of the Statutory Accident Benefits Schedule and the benefits to which clients are entitled after a car accident. Olga regularly navigates through complex injury and catastrophic claims such as spinal cord injury and brain injury claims, and appreciates the importance of assisting clients in an effective and courteous manner. Olga strives to have a mastery of the benefits available to clients who are injured in car accidents, and actively works to ensure clients obtain income replacement benefits, medical benefits, attendant care, housekeeping benefits or other accident benefits to which they are entitled. Olga understands that despite all the changes in the Ontario government’s regulations relating to accident benefits, they should always be used to help clients as much as possible after a serious car accident. In her spare time, Olga enjoys travelling, watching good movies and spending time with her family.